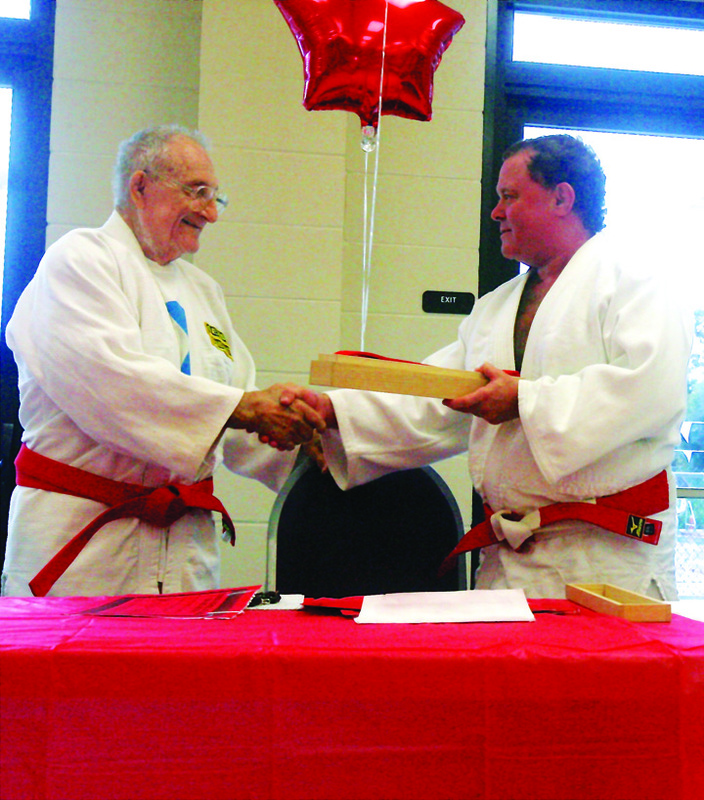 During a recent ceremony that acknowledged his latest promotion as one of the highest ranking Judo instructors in the country and long-time service to his class and the local community, Florida School of Judo instructor Professor Ed Maley, was honored, celebrated, praised and applauded, by students, fellow instructors and Judo fans last month. 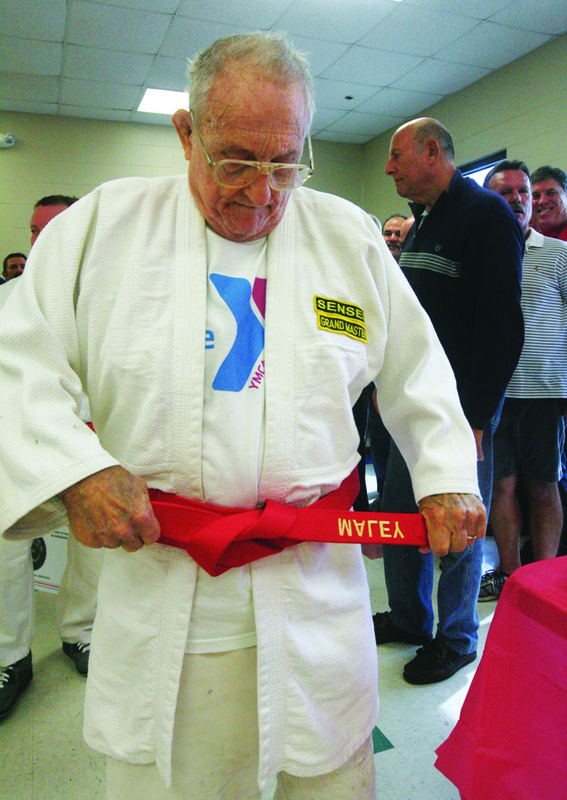 In the presence of dozens gathered inside the room normally used to conduct his weekly classes at the Campo Family YMCA, Shihon Maley, 84, was recognized and ceremonially received his Judo rank of Kudan Ninth Degree Black Belt. While displaying the highest respect, honor and humility, Maley’s son Keith, a Sixth Degree Black Belt Class A Instructor and National Coach, personally presented the belt to his father. After thanking the Campo Y for their continued support of hosting the classes, Maley called on his fellow instructors, some who have known him for just a few years and others that have had the privilege of learning from their teacher for decades, to say a few words about their experience and appreciation for the sport. Without hesitation, one by one the students thanked their Shihon for his hard work, dedication, and love for the sport, the community and his class. Expressions like compassion, integrity, devotion, family, coupled with father figure, was heard repeatedly as members of the class reflected on their relationship with Maley during his 66 years of teaching. Speaking of blessings, Maley’s son, Keith, proudly spoke of his father’s achievements and relationship with all those whose lives he had touched over the years. “He is a great man and I am blessed,” Keith said just moments after he presented his father with the new belt. Keith’s words echoed in the sentiments of his father’s longtime friend, Frank Costa, who have known Maley, for more than 50 years. For more information about the Florida School of Judo, visit floridaschoolofjudo.net.